Good Morning from Big Snow Resort! Indianhead Mountain has a total of 19 runs and 3 lifts open today. The open lifts are the Chippewa Double, Winnebago Double and the Magic Carpet. There is still a 30-70” base on the hill with soft granular snow to hard pack. We do not have a terrain park open but many great runs for riding! There is no night skiing this weekend. We are open until 5pm today & Sunday! Live Music with Corey Carlson, SKY BAR, Indianhead Mountain, 3:30pm! The snowmobile races are at Blackjack today and tomorrow 9am-4pm, with Logger’s Lounge open for food & drinks! Come out and enjoy the last spring snow! Below are the latest postings from the Indianhead Mountain Page On Facebook. Indianhead Mountain - Big Snow Resort shared a post. Happy Earth Day! Have you visited this beautiful waterfall? The trail starts in Blackjack parking lot.. celebrate the natural beauty around you! 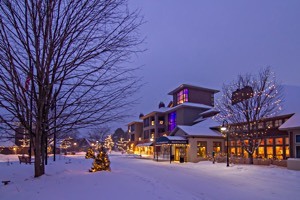 Big Snow Resort lodging is open for Spring, Summer and Fall reservations! Rooms start at $85 a night, with a variety of lodging choices! Scenic Blackjack lodging, one and two bedroom jacuzzi suites and Hotel Complex rooms available at Indianhead Mountain! 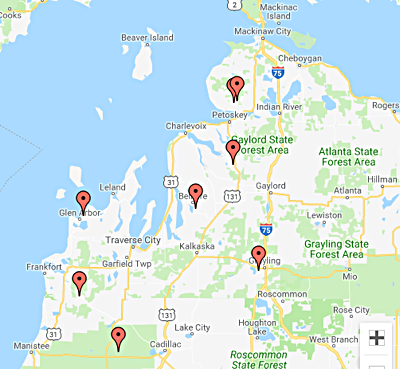 Book your lodging for the big upcoming area events including the Red Bull 400 Copper Peak, Bessemer 4th of July, Wakefield Outboard Nationals sponsored by Pepsi & Rockstar, or for your waterfall tours, bike tours....up north get-a-away! Good Morning from Big Snow! Come out and enjoy the last day of skiing at Indianhead Mountain! 19 runs with 13 lift accessible (6 are hike only) and 3 chair lifts are open. The lifts open are Chippewa Double, Winnebago Double & the Magic Carpet. Indianhead Mountain will be open 9am-5pm today! Blackjack Mountain is hosting the CorPowersport Snowmobile Extreme Snowmobile Challenge today, 9am-4pm! Loggers Lounge is open for food & drinks!